Oooh, I’m likin’ the look of THESE! 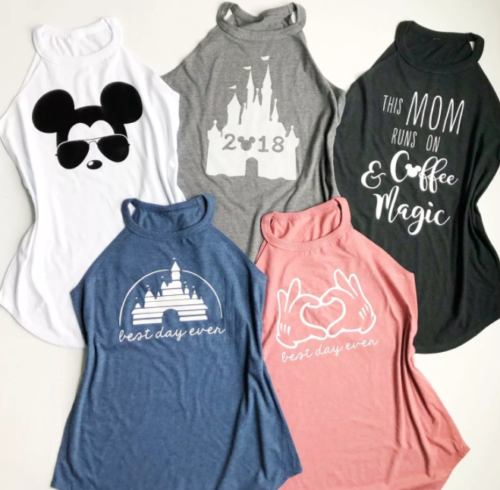 These High Neck Disney Tanks are the perfect option for bounding around the parks, day or night! Those phrases are spot on, and I’m loving the way they let your shoulders get some sun while protecting your neck from getting all burnt and crepe-y! WIN! Check out our other Favorite Disney Tees here! Now that’s a stylish spin on a tee. The coffee and magic one is so me.